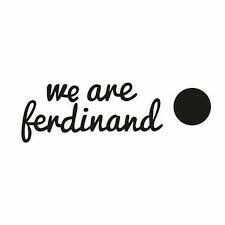 The "We are ferdinand" socks factory was created in 2016. Unusual socks of the highest quality materials, which do not exaggerate the individual style of the wearer but perfectly complement it - that's "we are ferdinand". The brand creates it's own original designs, which, however, remain sophisticated. On the other hand, collection created in cooperation with Czech artists, illustrators and designers goes beyond the boundaries and breaks all stereotypes. The socks are made exclusively in the Czech Republic.